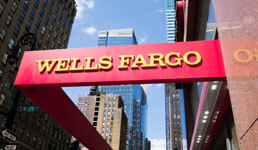 Despite its parent group suddenly losing its CEO, as well as probes by various government agencies, continued fallout from its 2016 fake retail bank accounts scandal, and legal action from breakaway advisors, households across the U.S. apparently say Wells Fargo Advisors is among the top personal FA firms for understanding and sharing client values, Hearts & Wallets survey data reveals. The research firm says that of survey respondents who listed Wells as one of their top financial providers, 7% more respondents in 2018 said Wells understands them and shares their values than in 2017. “Wells Fargo has been around for a very long time. And their clients are saying ‘Don’t give me a hard time for working with a company that I like,’” Varas claims. While Hearts & Wallets does not rank firms outright, other firms cited as "top performers" in “consumer understanding” and “value sharing” include Ameriprise, Edward Jones, and Morgan Stanley. Yet the survey shows no firm leading the way in helping consumers understand fees, according to Varas, whose firm polled respondents on the clarity and understandability of fees at their provider. “Pricing needs to get a lot simpler,” Varas says. “This is an area where as an industry we have a lot of work to do. But progress is being made. Firms are shifting towards a flat-fee model” because it’s easier to understand. Wealthier consumers tend to have a higher understanding of fees now, and younger investors are starting to get it too, she says. “Progress being made, but clearly there needs to be more,” she says. The survey of 5000 households, released today, was conducted by prompting respondents to name their two best financial providers from a list of the top 21 financial institutions, so it does not compare WFA to smaller, regional brands which may have more favorable results in comparison. Yet even at a recent consumer focus group she attended, Varas says panelists only had good things to say about Wells Fargo. "They all said 'The person I work with at Wells Fargo Advisors is a good person. Every company has a few bad actors. But I have faith in the person I work with,” Varas tells FA-IQ.